PennsylvAsia: One-time screening of Masaaki Yuasa's Mind Game (マインド・ゲーム), June 8 at Row House Cinema. 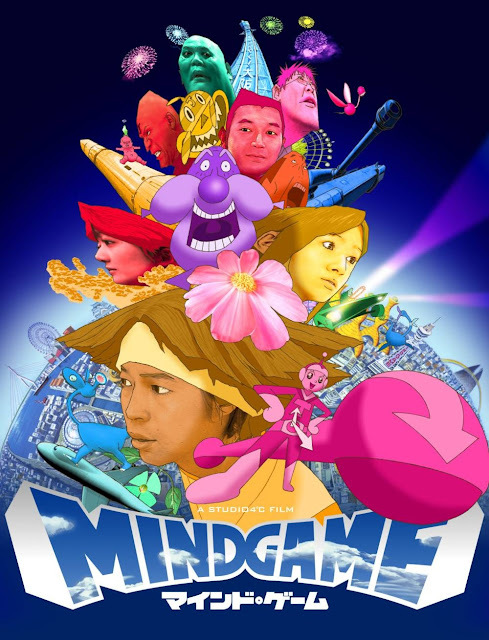 One-time screening of Masaaki Yuasa's Mind Game (マインド・ゲーム), June 8 at Row House Cinema. Two other Japanese films, Haikara-san ga Tōru (はいからさんが通る) and Lu Over The Wall (夜明け告げるルーのうた) , will run the duration of the series through June 15. Tickets for the 9:30 pm screening on June 8 are available online. The single-screen theater is located at 4115 Butler Street in Lawrenceville (map).